Hi! 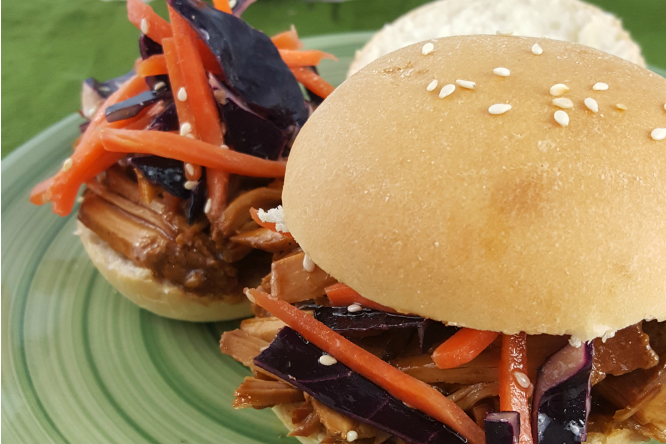 I’m Krysta, from KrystaSteen.com and I’m excited to share a great recipe with you today! 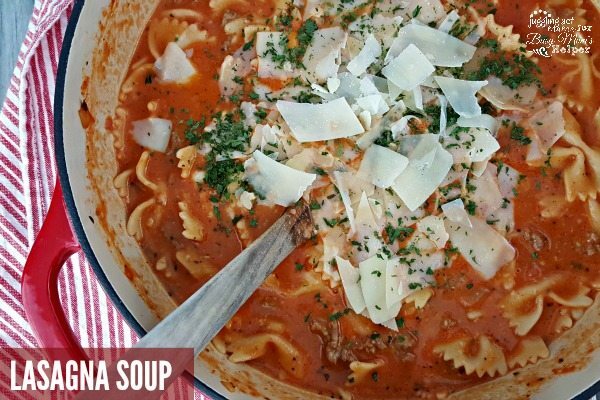 We’re big soup people in our house and this one fits the bill! Even my teen boys who tend to avoid a vegetable like the plague gobbled it up. I count that as a win for mom! 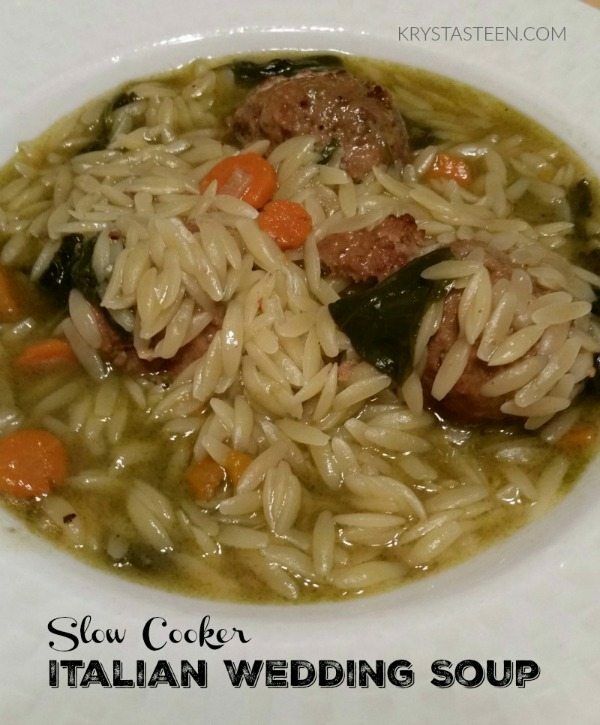 This soup is crazy easy too – who doesn’t love a great slow cooker meal?! You could certainly use homemade meatballs if you prefer, but as a busy mom I just use the frozen ones and they work like a charm. If you are using homemade meatballs, I would probably freeze them first! We actually like to add the whole package of orzo to make it an even thicker, stew-like soup, but just add less if that suits your family better. The Parmesan rind isn’t absolutely necessary, but I would highly recommend it! It adds a wonderful flavor. You could also use kale instead of spinach and I bet that would be delicious as well! Saute the carrots, onions and garlic in the olive oil over medium heat, for about 8-10 minutes, until softened. In a slow cooker, add all ingredients except the uncooked pasta and mix well. Cook on low for 7 or 8 hours. Turn off the slow cooker and add your uncooked pasta, stir and let sit for 30 minutes. Remove bay leaf and whatever is left of the Parmesan rind and serve topped with freshly grated Parmesan cheese. 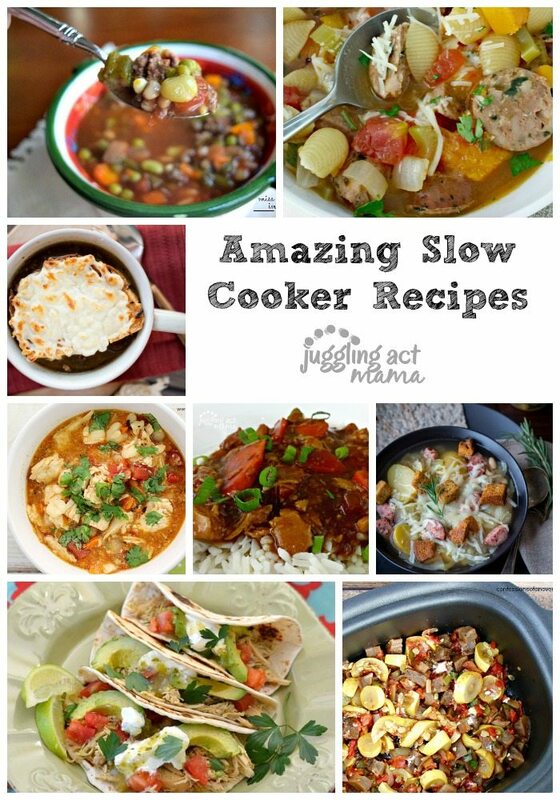 Check out some of our most popular Slow Cooker Recipes!